Get ready to hit the beach, have some watermelon and jam your favorite tunes. This 4 pack of Summer4Ever button set is great to show off on your beach gear. All your friends will want to follow you and get their own. Don't you wish it could be summer forever? 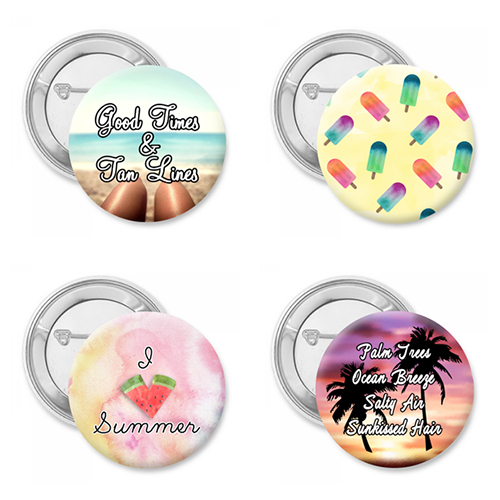 With this Summer4Ever button set, it can be summer for ever in your world. Stick them on your beach hats and bags! Create your own trend among your friends. One of each and choose from 3 different sizes. All come with pin backing. Order yours today and makes a great gift for your BFF!